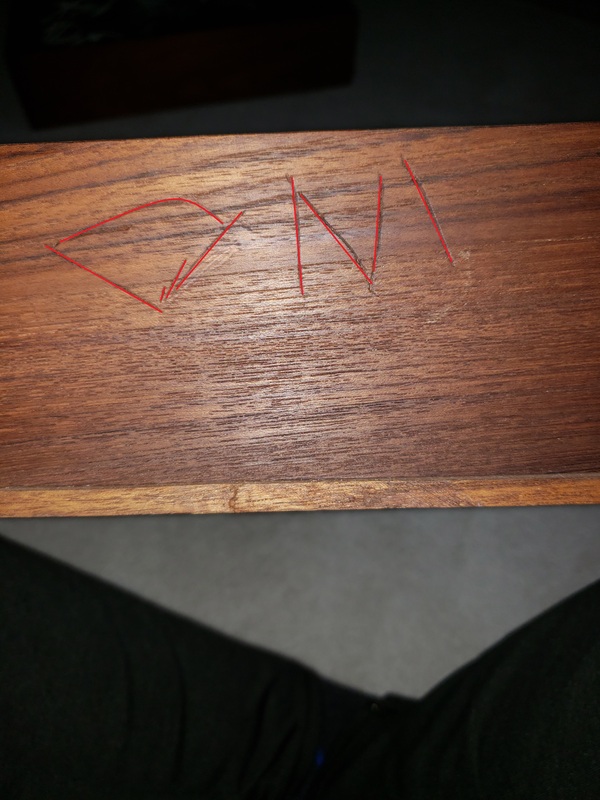 I tried searching everywhere for markings-could find none. I'm hoping someone has some information about style (if there would be hidden markings or anything anywhere) I'm open to looking again, just trying to get started in the right direction. 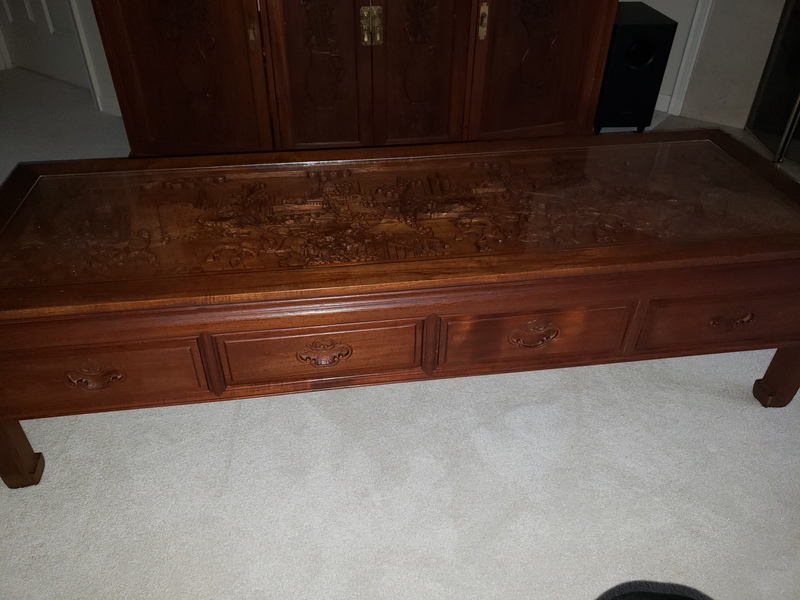 I inherited these tables and beleive they were purchased in okinawa. Seems like teak wood. 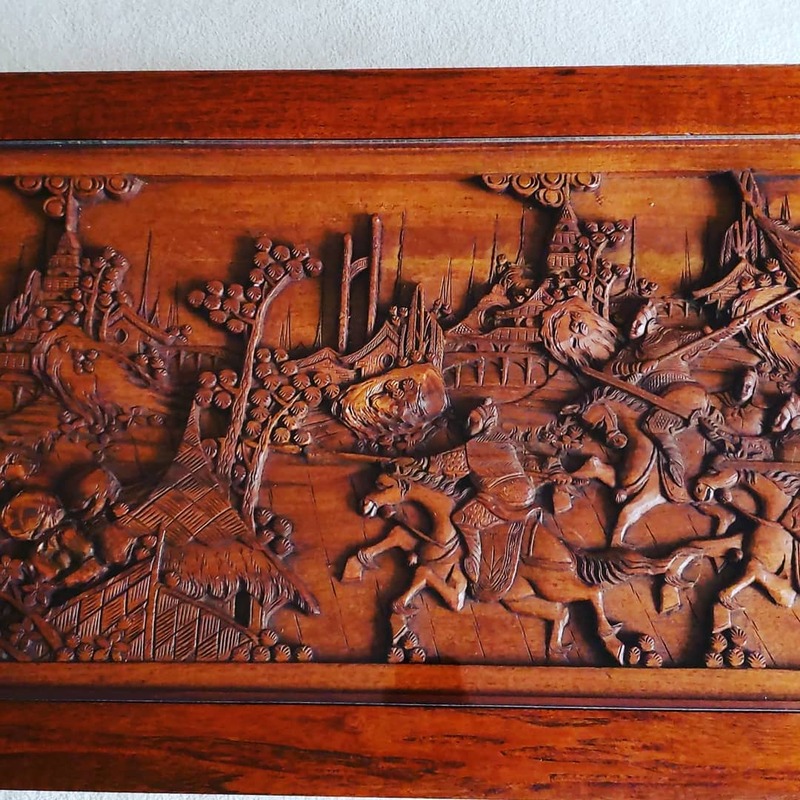 Tables like are generally made in China and South East Asia, the earlier examples were carved from a dark colored wood called "Hongmu". Determining exact origins is often a case of documentation or a physical examiantion of the item. 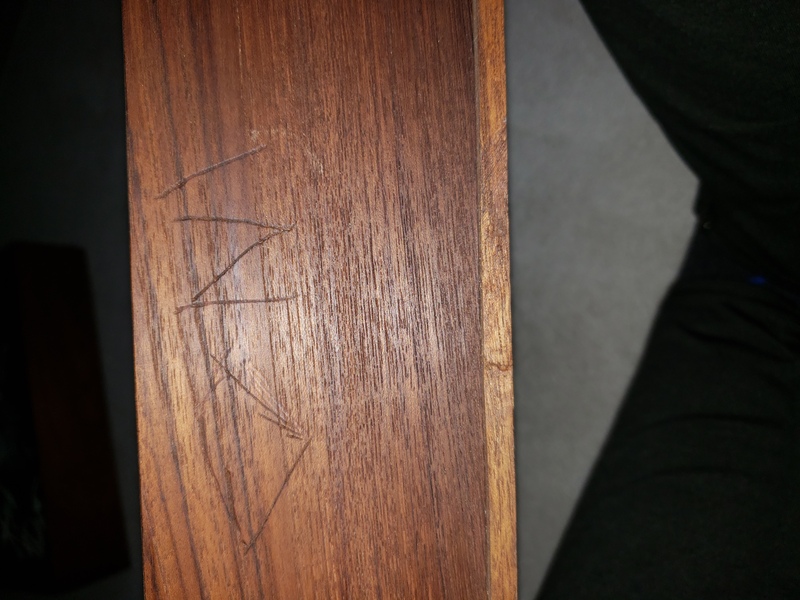 The markings on this one are not original to the table or a makers mark. Most lighter colored tables like this post date World War Two and similar examples are still in production. Values for them depend a great deal on the quality of the carving, but values for them currently tend to be modest.